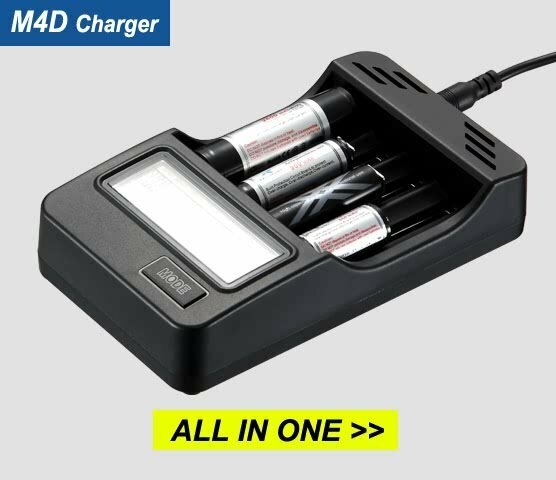 types of rechargeable batteries thus eliminating the need to own several chargers. 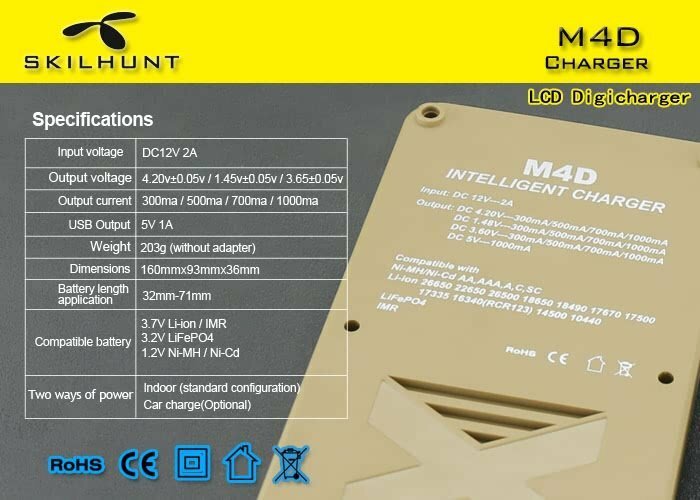 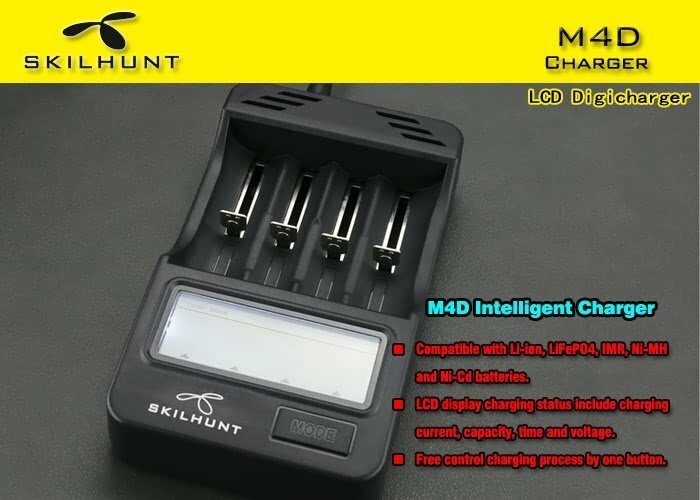 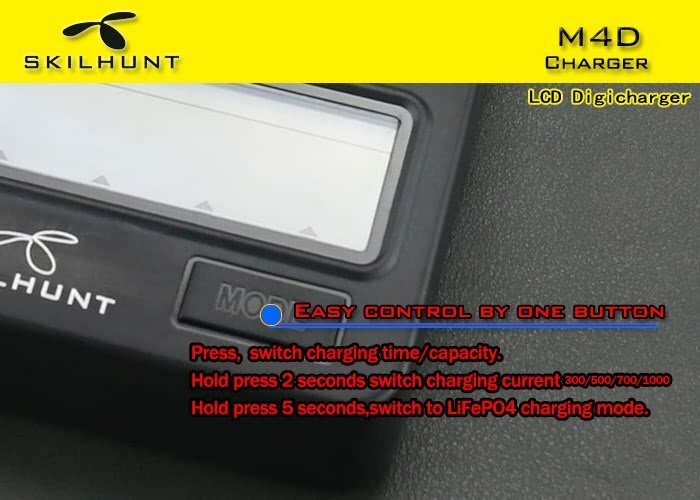 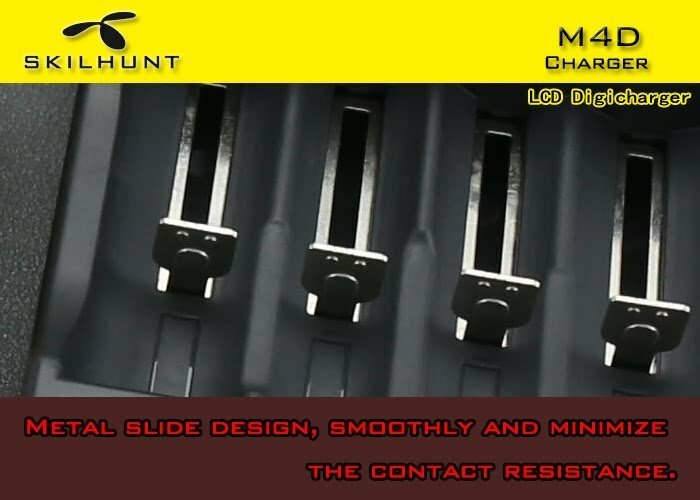 The M4D is a real fast charger that can charge 4pcs batteries all with 1000mA charging current at the same time. 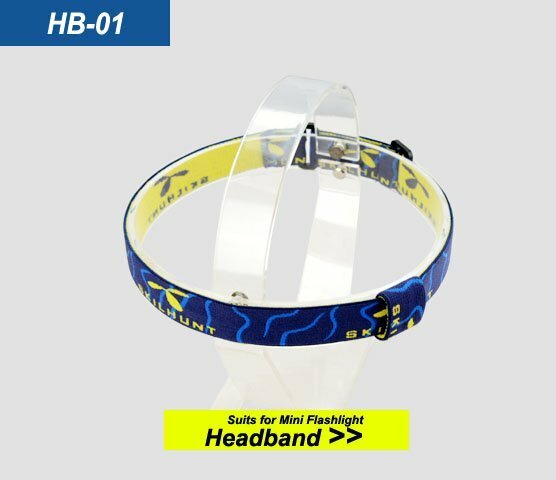 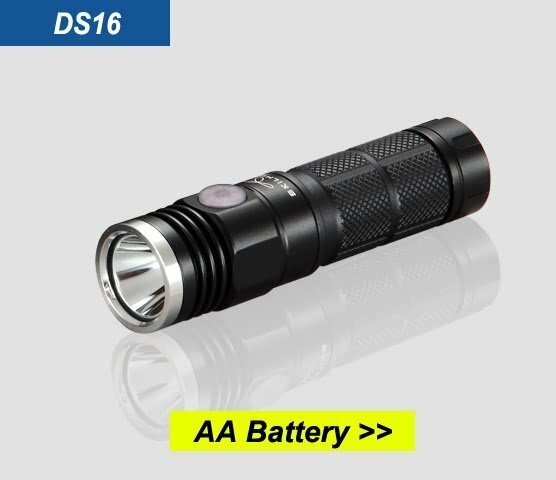 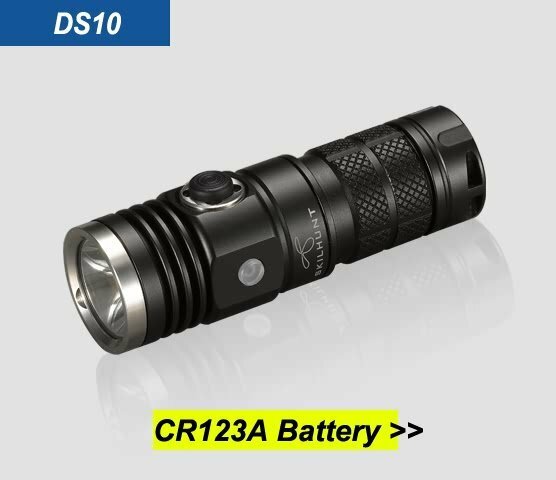 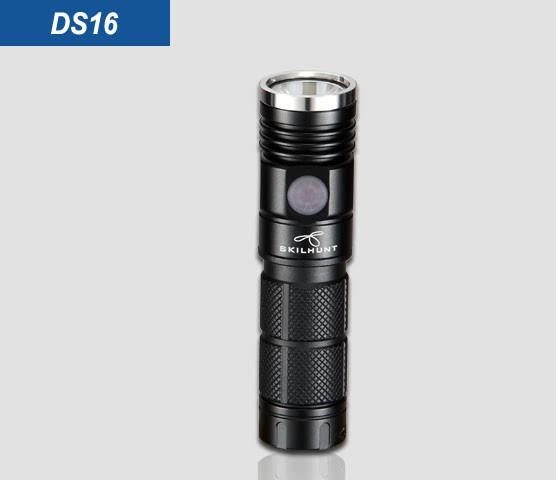 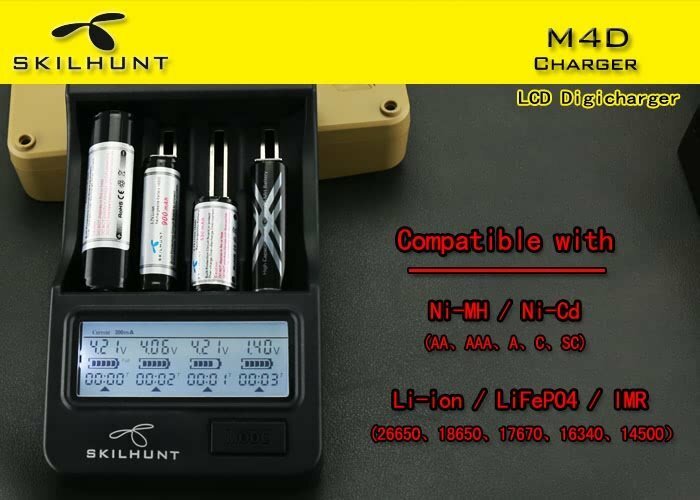 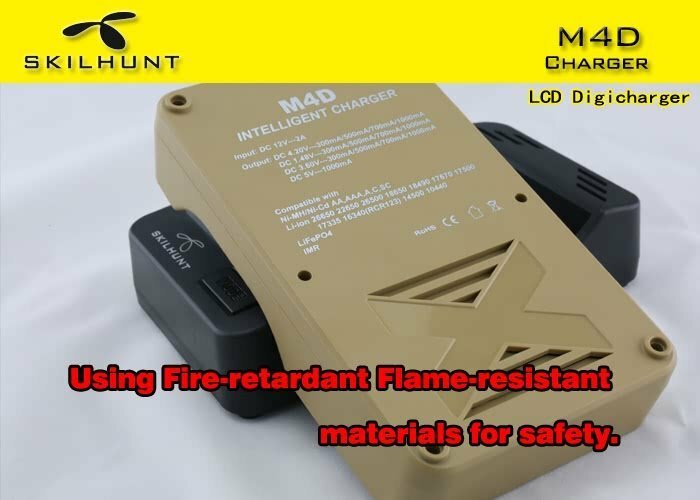 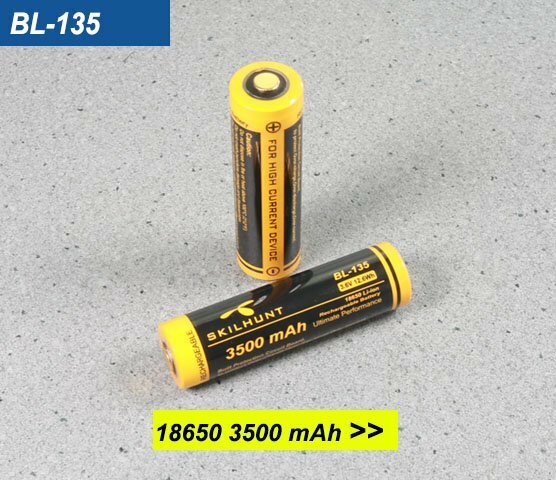 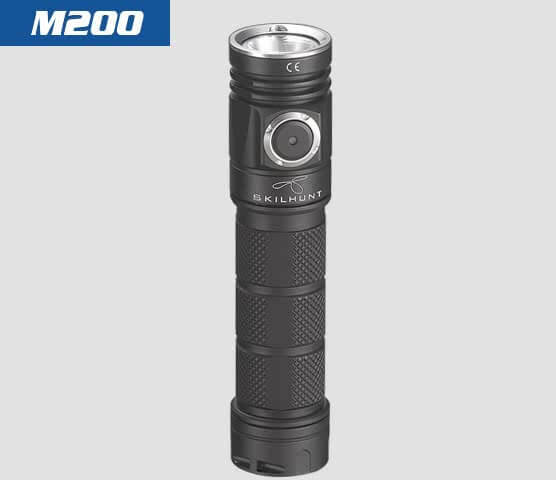 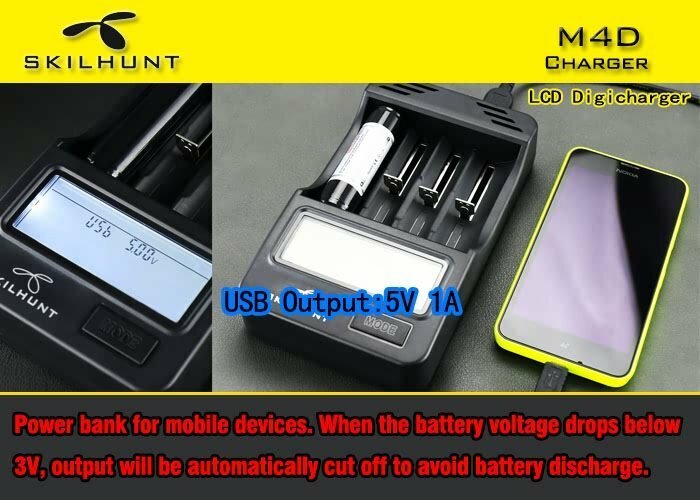 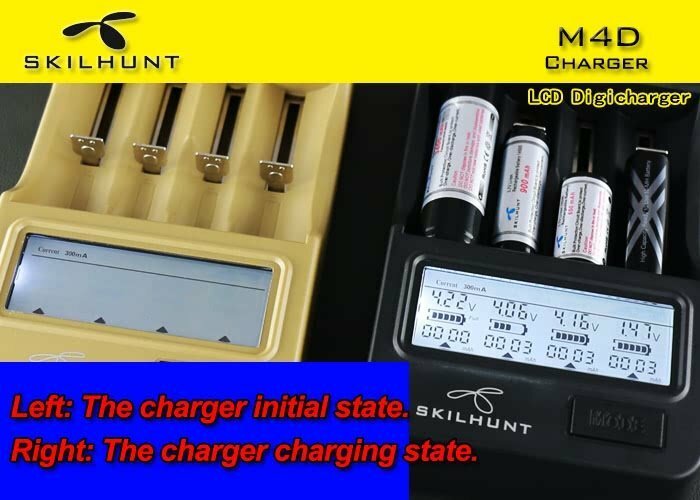 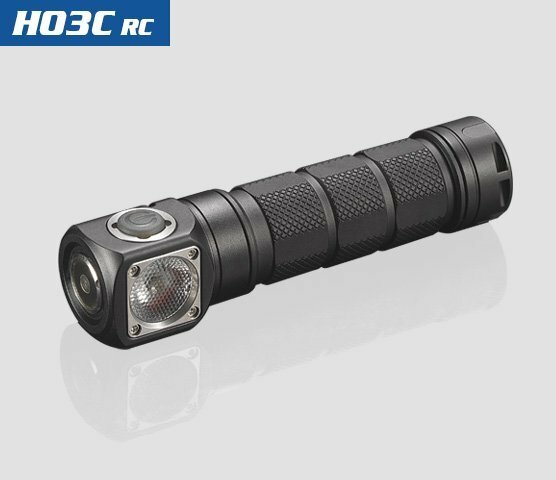 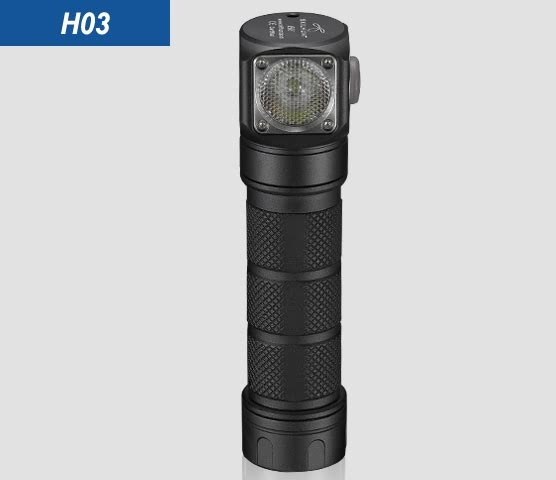 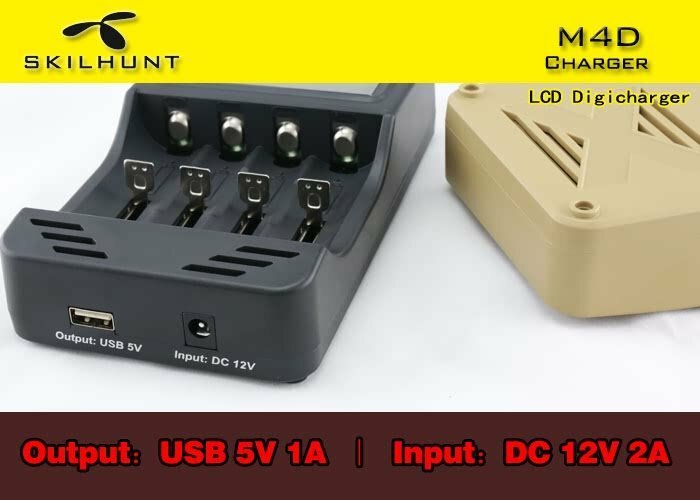 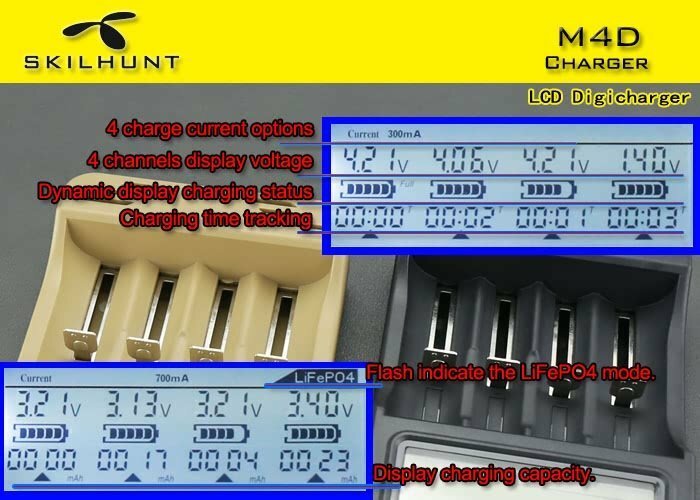 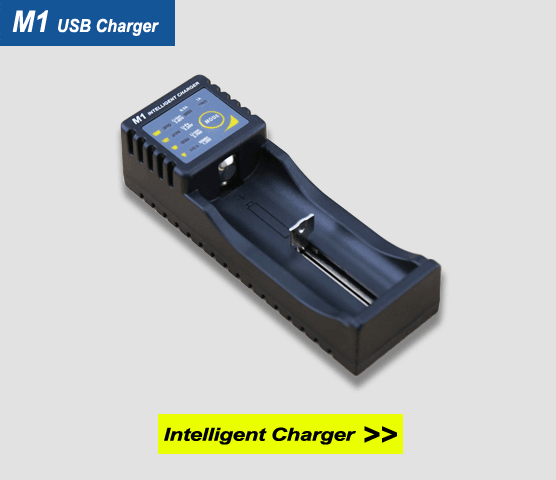 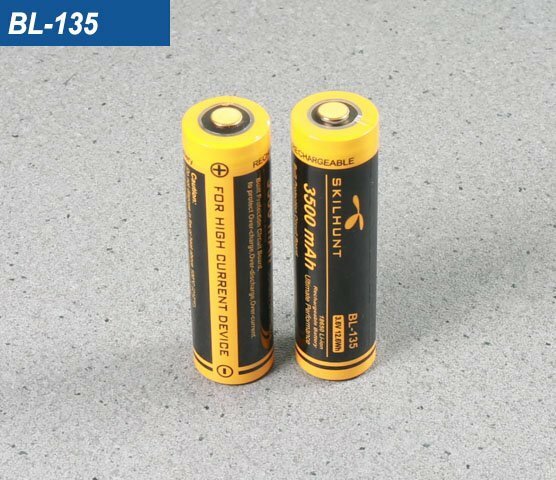 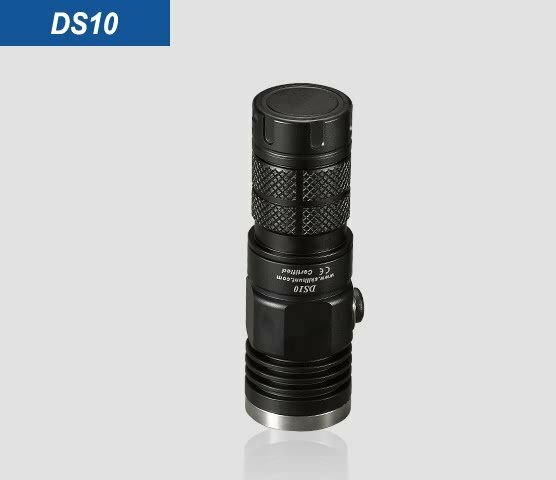 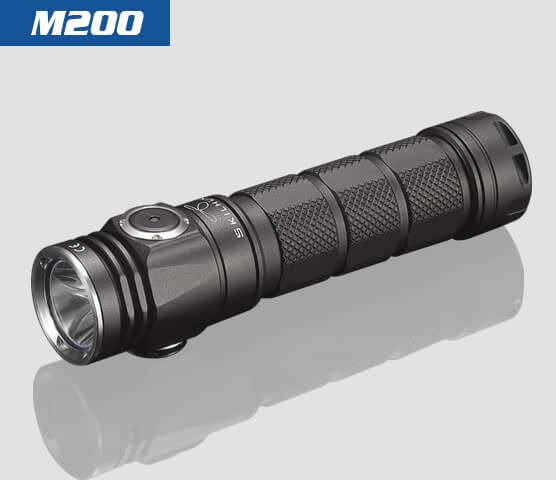 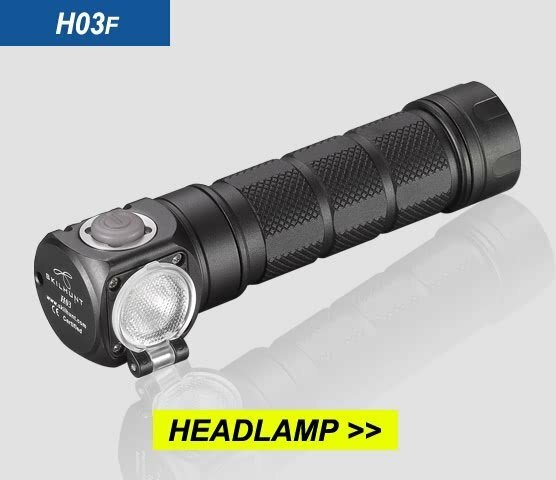 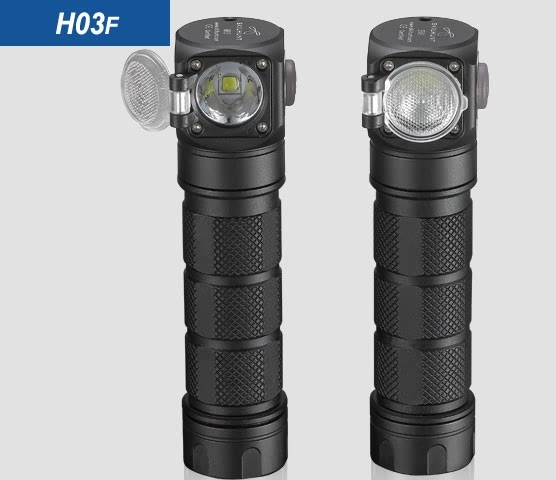 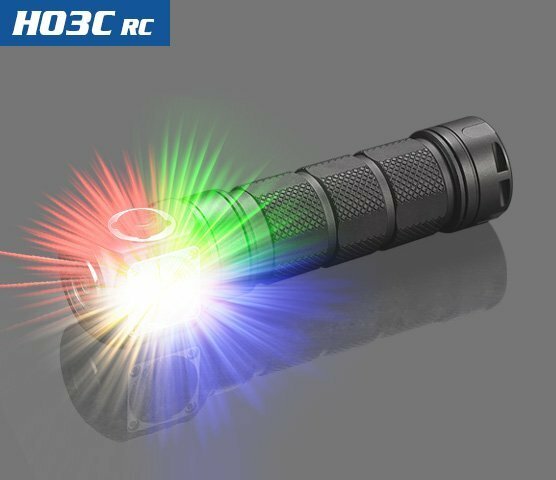 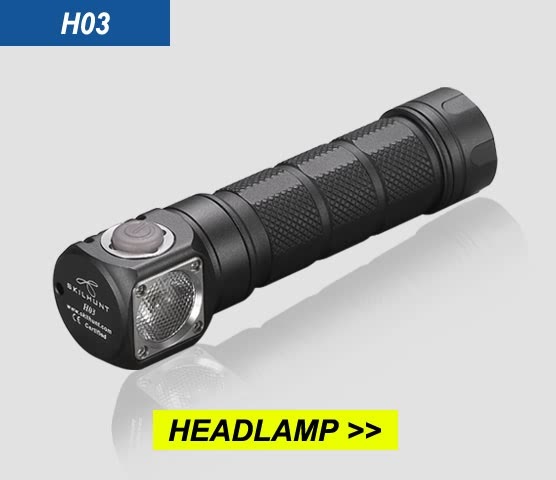 The M4D is able to automatically identify Li-ion, IMR, Ni-MH and Ni-Cd rechargeable batteries and apply an appropriate charging mode( Constant Charge Current (CC), Constant Charge Voltage (CV) and Trickle Charge).